If you’re opening a small retail business, one of the most important factors to consider is the barcode system. Barcodes and barcode scanners help speed up the processing time at the checkout desk, making sure that the customers are correctly charged and that the flow of movement is not interrupted. What’s more, they can also allow you to keep precise track of your inventory and save a lot of time. So, while it’s obvious that a reliable and efficient barcode system is essential for your business, it may be difficult to figure out which one is right for you. That being said, here are some considerations to help you decide which barcode scanner to buy. When choosing a barcode system for small retail business, you need to decide whether 1D or 2D barcodes are a more suitable option. 1D barcodes consist of parallel black bars and numbers which allows for extremely fast scanning. However, this design limits the amount of information you can store to only 20-25 characters. Considering how 1D scanners are more affordable, this can be a very cost-efficient option if you don’t need to store a large amount of data. On the other hand, 2D barcodes can store up to 2000 characters of information without taking up much space. They can also contain images, website links, voice recording and a variety of data other than characters. A commonly used 2D barcode is the QR code which can also be read with some smartphone apps. Depending on how they’re used to read barcodes, there are four types of scanners. The most popular ones in the barcode system for small retail business are handheld scanners. They can be either wireless or wired and fit into the palm of the hand, allowing you to easily point them at the barcode. On the other hand, there are also presentation scanners which are designed for you to present the barcode to the device. They have much larger screens and readers allowing you a larger scan radius which means you don’t need to be very precise with your aim. 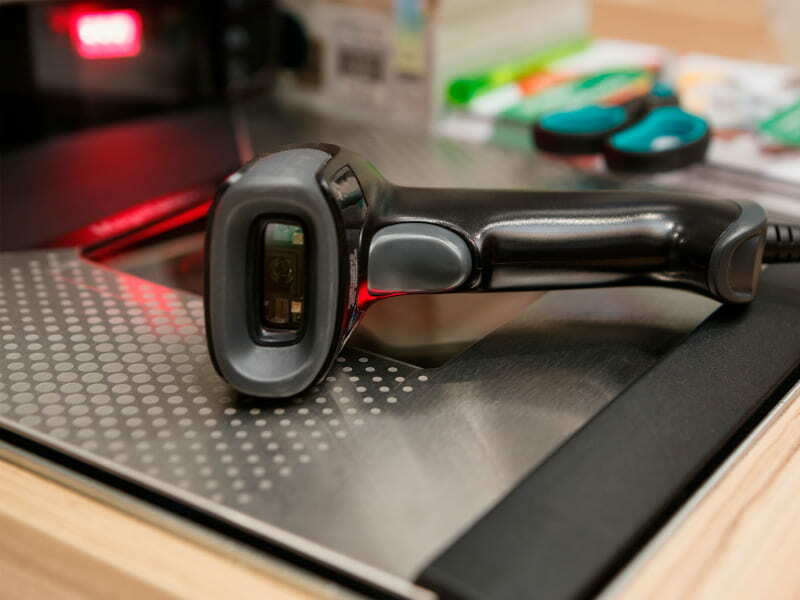 There are also counter mounted scanners similar to the presentation ones in that you need to hold the barcode to the scanner. This scanner is much larger and can also feature a weighing scale, which can be very convenient for a grocery store or a self-checkout lane. Then there’s the mobile device scanner, which is similar to a smartphone. It can scan and store information on its memory card which can be sent to a computer directly via wi-fi. This kind of scanner is mostly used for keeping track of inventory.